March Madness is now in full swing. Fed Madness continues apace. The NCAA basketball tournament (which started earlier today) wouldn’t be very interesting without the 35-second shot clock forcing teams to shoot the ball. Forget slam dunks and three pointers, without the shot clock the game would be pass, pass, pass, while the clock would tick, tick, tick. The talents of big stars would be neutralized by opponents milking the clock. Bracketology? No one would care. Mr. Klecker has not-so-fond memories of the pre-shot clock days for college and professional basketball, citing particularly, a certain pro game in 1950 where the Fort Wayne Pistons and Minneapolis Lakers battled to a final score of 19-18. Mr. Klecker sounds every bit the card-carrying Austrian economist, using terms like “malinvestment” and “a priori,” and provides a compelling enough analogy for Grant’s to quote his correspondence extensively. Klecker contends that a real rate of interest should function in the economy just as a shot clock does in basketball. Lenders trade the present value of cash for a future stream of payments. This includes remuneration for doing without the use of the money for the period of the loan. In a free market, rates would be dictated by what the overall time preference of society is. In other words, how much people value the present over the future determines the rate of interest. What we have today is anything but a free market. The Federal Reserve is buying the vast majority of the government’s new treasury bonds in an attempt to keep interest rates at or near zero, subverting the market signal that rates might communicate about society’s time preference. Taken at face value, rates tell us that the average person has very little value for the present vis-a-vis the future. In Bernanke’s world, it’s as if we are all immortal. Time, as anyone over a certain age comes to realize, is in short supply, yet central bank policy attempts to quash this scarcity. Tiny interest rates allow less-than-talented and inefficient businesses to stall and run out the clock, just as the Pistons did in 1950. The Fort Wayne bunch couldn’t match up well against Hall of Famer George Mikan and the Lakers. They employed a “delay game” strategy from the opening tip. We can’t begrudge the Pistons for their successful strategy, but the point is that an inferior team won because there was no mechanism to force the teams to attempt to score. Indeed, the demand for money, as measured by the velocity of MZM Money Stock (MZM/GDP) peaked at nearly 3.5 in the early 1980s. Today it has sunk to less than 1.4. For all the Fed’s attempts to ignite an animal-spirited lending spree, the cash just keeps piling up and doing nothing. Last November, The Economist weighed-in on the cash issue with a piece entitled “Dead money.” Companies have been supplying cash rather than using it since 2008. Firms in the S&P 500 are holding close to a trillion dollars in cash on their collective balance sheets, an increase of 40% from the dark days of 2008. Cash is sloshing around in banks around the globe. In fact banks themselves are swimming in liquidity. 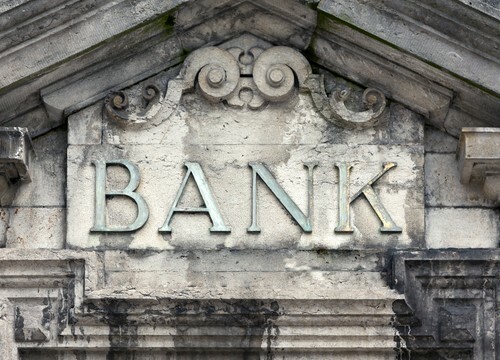 The loan-to-deposit ratio of America’s banks is a decades-low 70%. Plus, banks still have nearly $1.5 trillion parked at the central bank in excess reserves. Of course it’s not high rates that are enticing companies to leave money in demand deposit accounts, money market funds, or treasuries. In fact, rates have never been lower. As hungry as banks were for money during the boom, many are doing all they can to get rid of deposits. The central bank’s zero interest rate policy has compressed interest rate margins at banks. Banks can’t pay less than zero for demand deposits, so as lending rates and treasury rates have decreased, interest rate margins have been flattened. The Fed’s Zero Interest Rate Policy has trickled down to gamier borrowers. Junk bond rates are way down. This allows inefficient businesses to compete against more productive competitors that have the wherewithal to service much higher market rates. Dicier operators living on Bernanke’s low rate largess crowd out more capable borrowers. At the same time, low rates allow lenders to sit on foreclosed housing units indefinitely, keeping markets from clearing and sending faulty signals about supply to the market. Also, the intrusions of government go unimpeded since government is paying little or nothing to the Fed. The central bank then turns around and disgorges its profits back to where they came from — the Treasury. Reportedly, the Fed is desperate for businesses to make investments and hire people. The stated plan is to lower borrowing costs for businesses so that borrowers will seek and be granted loans to do projects that require increased hiring. Thus far, the results have been terrible. The headline unemployment rate still hovers near 8%. Three million fewer Americans are employed now than in January 2008. Median household income has dropped 9% since the end of 2007. GDP growth since 2007 has been just over half a percent annually. Expect more of the same until the Fed gets out of the way. If and when interest rates finally rise, bloated and inefficient businesses and governments will be forced out of the game leaving the court for the most skilled operators to drive economic growth and employment.